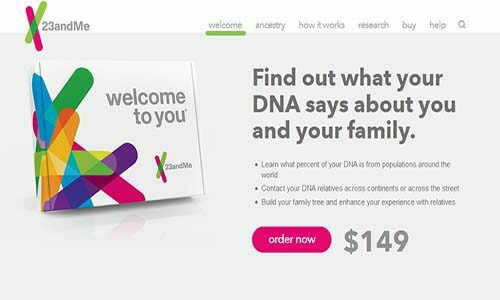 A genetic test from AncestryDNA costs $99, excluding shipping. For this price, clients get DNA reports of their family histories and genealogy. These include ethnic mix profiling, DNA matching, DNA circles, and raw DNA. The price also includes the collection kit as well as two-way shipping costs. On the other hand, 23andMe has two different prices for tests depending on the specific offerings of the test. The first test, an ancestry test, goes for $99 while the second includes both ancestry and health services and costs $199. However, it is important to note that the prices of these tests do not include shipping costs. As a matter of fact, clients have to pay as much as $9 for the first kit and $5 for every additional kit that the customer orders. AncestryDNA offers autosomal DNA testing services. This means that anyone, regardless of gender can take the test and find out ancestry information from both the maternal and the paternal lines. One of the services that AncestryDNA offers is ethnic mix profiling. The client’s genes are compared with sample genes from different ethnic populations of people and matches drawn. AncestryDNA compares DNA with samples from 26 regions all around the world. These include areas in America, Europe, Africa, West Asia, Asia, and Pacific Islander. In addition to the ethnicity profiling, AncestryDNA will also provide information regarding the client’s family history and potential ancestors as well as previously unknown relatives. What’s more, the service links the clients DNA test results to his/her family tree. One advantage of tracing family histories with AncestryDNA services is the fact that they have one of the largest databases of historical records, family trees, and potentially old photos courtesy of Ancestry’s database. In fact, the company’s website estimates that it has a database of at least 3 million people. AncestryDNA also includes raw DNA downloads which are basically a copy of the raw results. Clients can use the raw DNA results to find out, even more, details about themselves even from third-party services. Just like AncestryDNA, 23andMe uses autosomal DNA testing. However, 23andMe has the added advantage of offering more services than its competitor. Firstly, 23andMe offers Ancestry reports. There are different types of reports under Ancestry tests. There is the ancestry composition analysis which attempts to identify the various regions that the genes in the DNA are from. The ancestry composition reports also include a descending timeline that one can use to estimate the time frame at which individual genes entered one’s ancestry. A second report under the ancestry test is the haplogroup report. In layman terms, a haplogroup is a group of similar genes sharing a single/common ancestor. It is possible to get a haplogroup report for both maternal and paternal lines. However, females can only get reports from their maternal line while men can get haplogroup reports from both maternal and paternal lines. Thirdly, 23andMe ancestry tests include a Neanderthal ancestry report. From this report, clients can find out information regarding the presence of Neanderthal genetic variants based on a test for 2248 different variants. This information is compared with results from other 23andMe users. The fourth kind of report in the ancestry tests is the DNA Relatives tool. This is a tool which compares the DNA results of 23andMe users to identify matches. Matching DNA may signify a common ancestor while the strength and number of identical genes are used to predict the closeness of the relationship. Users can also find out their links to the surnames associated with the DNA matches identified. By displaying the top names, 23andMe provides users a way of identifying their possible family lines more quickly. The process of collecting DNA samples for both services starts with activating their collection kits online using unique barcodes. In addition to that, users of both AncestryDNA and 23andMe are required not to eat, drink, smoke or brush their teeth for at least 30 minutes before extracting the samples (both services use saliva samples). The samples are then shipped back to the respective service providers. AncestryDNA sends a confirmation of receipt to users within two weeks of sending back the sample. Full results are released within 6 to 8 weeks although in some cases, the service provider might issue results within two weeks of receiving the sample. On the other hand, 23andMe also sends its users a confirmation of receipt within a week of the user shipping the samples back to them. Preliminary results are then sent within two weeks of the confirmation message and full results posted to the user’s account within a week of the initial reports. Sometimes, users may wait for longer periods depending on the season. Both AncestryDNA and 23andMe assure their users of security and confidentiality not only for the samples but also for the results. Secondly, both service providers store the DNA samples for any necessary future use. This means that users who have already submitted their samples once do not need to send them again. 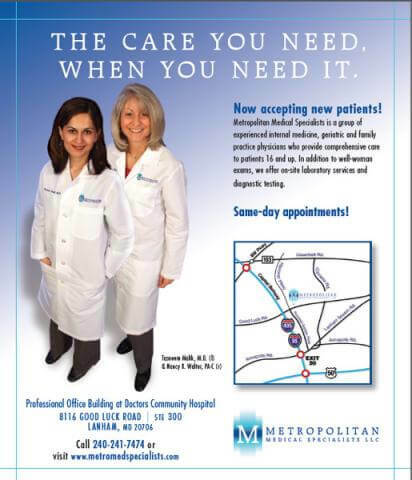 The third thing that both DNA testing services have in common is their respective community forums. These forums allow users of the individual services to interact and communicate with each other. The choice of service to use pretty much depends on what the user wants. Those who are after finding more information about their family histories and family lines are better suited using AncestryDNA. 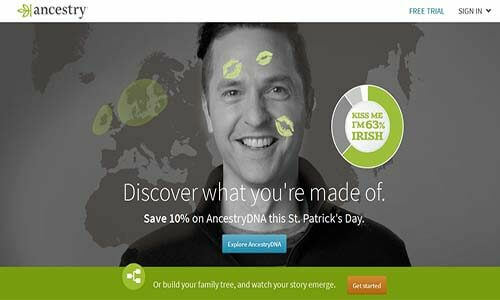 Ancestry’s massive database also cements AncestryDNA’s position as a reliable service for family histories and genealogy. However, for those interested in more than just their family histories and genealogies, a 23andMe test featuring health reports is a much better option.